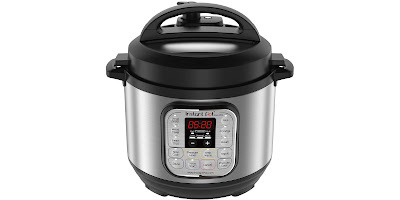 Head over to Target.com where you can snag this Instant Pot Duo Mini 3-Quart Pressure Cooker for just $69.99 shipped. Even better, through December 24th, purchase this Instant Pot and you'll score a FREE $20 Target Gift Card automatically added to your cart. After factoring in the gift card, it's as if you are paying just $49.99 shipped! SWEET! And, if you're a Target REDcard holder, you'll save an additional 5% off your purchase which drops your price down to $66.49 shipped along with the FREE $20 Target Gift Card!